Jason Hartman invites Brian Gruber President of Lucky Orange to the Speaking of Wealth Show. On today’s episode, Brian talks about the customer data you can get from heat mapping, polls on your website to find out how to make your customers purchase your products, and the beneficial ways of using Lucky Orange’s product. 2:14 – Heat mapping can show you which pages are the most visited and which ones are not. 3:13 – A poll is a quick question that can help you find out what your customer is thinking. 5:47 – Brian explains how the privacy of their product works. 7:56 – Brian explains more about different types of heat mapping. 11:45 – Lucky Orange has a feature called Behavior Tagging which segments the recordings of people by the actions they take on your website. 13:59 – Lucky Orange has another feature called Form Analytics that allows you to see people in real-time and see where they’re stuck on your forms. 15:00 – Brian’s advice is to get information from your customers by watching their movements on your website and asking them questions. 16:56 – Listeners of this podcast can get an extended free trial on Lucky Orange’s product via email. Intro: Speakers, publishers, consultants, coaches and infomarketers unite. The Speaking of Wealth Show is your roadmap to success and significance. Learn the latest tools, technologies, and tactics to get more bookings, sell more products, and attract more clients. If you’re looking to increase your direct response sales, create a big-time personal brand, and become the go-to guru, the Speaking of Wealth Show is for you. Here’s your host, Jason Hartman. It’s my pleasure to welcome Brian Gruber to the show. He is president and chief technology officer at Lucky Orange and I discover their product a while back and became fascinated at the kind of opportunity we really have to just offer this better experience for our customers online and all of the data that we can gleam from the way they behave on our websites and so forth. So, we are going to talk about that, you know, if you have heard of recording of people’s website visits, of heat maps, polls that’s what we are going to drive into today. Brian, welcome, how are you? Very good. Thank you for having me. Yeah, it’s good to have you. So, most people have probably heard of heat mapping, probably most people even know what it is, but not many people are using it yet, I don’t feel that there is any widespread adoption. Would you agree with that and if so why not? I think that the people that know how to use it are using it and there’s a whole realm of opportunity that, you know, lurks there that, that just people are just not aware of the value of it or what they can actually gain from it and also it’s really part of a bigger picture of understanding website user activity. Heat maps is really just one component that I feel like you need many different components to get the full picture. Okay, so just in like ten seconds tell everybody what a heat mapping is. So, specifically with our product we actually give you four types of heat maps. So, the first type of the heat map will aggregate thousands of visitors sessions on a page on your site. So, imagine you have a picture of one page of your website and thousands of people went to that site and they all move their mouse around in different ways and they click on different things and they scroll to different lengths. So, we aggregate that data into a visual heat map, which shows you the hot and cold areas of the page where people are clicking the most, are moving their mouse the most, are scrolling the most and we try to give you that kind of insight. Yeah, that’s great that you can do that, because nobody’s going to sit down and watch single visitors at a time that would just take forever. Okay, so this heat mapping technology is really valuable like that, what about the polls? I mean, can you sort of– I mean is it a survey after someone, you know, looks around on your website and surfs around there, what is it? Sure, so a poll is just a quick question that you can ask your users, you know, to get very quick feedback in unobtrusive way. So, for example, you might see somebody they might be on a sign up page or a purchase page and there might be some hesitation there, a simple question like, “Is there anything preventing you from signing up today?” Right, that question can give you so much information, there will be people that will close it and won’t have any interest, but there will be people that will fill that out and they will surprise you with their remarks. I can give you an example when I was first developing a website and I wanted to make adoption as easy as possible, so on the sign up page I used– I had a process where you click sign up, you maybe pick a plan, you enter your email, create an account and then you will get what’s called a tracking code, right, this tracking code is the thing you need to paste on your website to make everything work, and so I wanted to be clever about it and I said, well what about if I don’t make people sign up for an account. What if I just make a tracking code and I just put the tracking code on the sign up page, there’s no account creation necessary it just says paste this tracking code on to your website and I felt that would get more people to use the software, more adoption and just work out better, right, that was what I thought, and then I didn’t see such a high adoption rate. So, I use a poll and the poll just said, “Is there anything preventing you from signing up today?” And I left it with a yes, no, and enter your comments below and I repeated got the following answer it was, “I don’t see a sign up button. How do I sign up?” So simple, but see, because I was thinking of things with my goals and how, you know, how I would use it, but that’s not my visitor or customers goals, right. They had an expectation and that expectation was I go through a sign up process even if it takes longer and even if it’s harder I go through that process and I expect that process. So, it’s very important to get into the mindset of your customer instead of being fixated locked in to your business goals and your own, you know, expectations. What about privacy concerns? You know, people have talked about this so much over the years, obviously, but can you track an individual user IPs? Well, I’m sure you can do it technologically, but, you know, do you have the IP address of a person and exactly where they click and what they look at and where, do you see the mouse movements or only the mouse clicks? So, I’ll tell you how we work and other systems might be different, but out of the box if you just install our product it’s anonymous of recording. 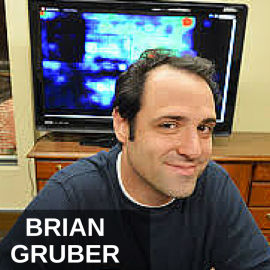 So, what you would see is you wouldn’t see any hi my name is Brian Gruber, you wouldn’t see, you know, keystrokes. If somebody typing into a text it would just send asterisks cross the internet and you would see mouse movements and clicks going across the page. So, you can actually get an anonymous version of a recording. We even have the option to strip the last three digits of the IP address if you are in a country that wants it, but there are some customers that already have customer data. Let’s say, somebody already created an account and they know this person cause they log into their system. They can choose to pass custom data in, so they might send customer ID or something like that, so that they can later on say, well this customer was having this problem in this page and I don’t know what they did. Well, we can go look back and pull up their recording and see, you know, what they’ve done and we have a lot of options and ways to make sure that if there’s any sensitive data on the page that is never even sent acrossed the internet, that is blocked out and things like that. So, but I don’t think that– I think the problem is that the laws have not caught up with the technology yet. That’s always the way it is. I mean, you know, through out history, it’s just always that way. So, we’re trying our best to make the best practices and give all the options possible, you know, to do whatever we can when there really isn’t any solid legislation and countries differ on it, right, so every country is going make their own, you know. Yeah, absolutely. Okay, well let’s talk from the, you know, the marketing angle and, you know, just talk, what do we do with this data once we get it. I mean, you talked about the poll, but I’m talking about let’s go back to heat mapping in general. How do we really use that effectively? So, let’s take a step back and imagine your website as just, you know, your store and all these people are coming in through the door and they’re doing something and some of them purchase something and some of them leave, right, and what we’re trying to understand is what happened in that middle portion. How come we had a hundred people come to this site today and only one person purchase something, what happened to that other 99% and most of them would never tell you why left. So, all the tools that we provide are trying to give you that bigger view that overview of that puzzle, but then you can drill down specifically. So, if you were too look at a heat map, which is an aggregate of many sessions you might see a pattern such as, let’s say, you see a bunch of clicks on a picture and that picture doesn’t even go anywhere, right, it’s not even a link. They want it to be a link. Yeah, they’re absolutely concerned about returns and what if this thing doesn’t work out, yeah. The only thing they do with a heat map is a scroll death heat map which shows you on average how far down the page people scroll. Do they get beyond their fold, yeah. Well, that the thing about the fold I think it’s kind of a misunderstood term, because usually when people talk about the fold they’re talking about the browser with the– and high resolution that is first seen as soon as somebody hits the page and everyone says, “Well, put your stuff above the fold.” But the truth is people have a scroll wheel, right, they know how to scroll, there’s a scroll bar. They do scroll down, the question is how far down did they scroll down. So, we’ll take that information say this is where people scroll down too and we’ll see things right below that, that are your most important messaging that they never even saw us, they don’t even know you offered. So, you take this aggregate here, but then circle around to okay, I see pattern with this heat mapper or something, how can I go and look at that more, you know, fine micro level and that’s where that recording does come in, and you are right nobody’s wants to sit and watch a hundred thousand recordings, but we offer such filters that you can filter down to very specific types of recordings like maybe it’s somebody who went to the check out page, you know, complete X numbers of steps, but never purchase. So, now you can then watch that type of recording and just see those recording that you are interested in and you’d find things that will blow you away, you never thought that this is how they were using your website, and you will see it the first time you will say, that user was just an idiot, they don’t know how to use my site and the second time that user is also stupid and the third time oh stupid user, until the firth-sixth-seventh time…. And they’re all using it just properly, they’re just good the way they are, you know, and so we have to, you know, evolve our website to fit their expectations. Yeah, right, we sure do. Okay, so how long does it take us to manage this thing. I mean, it kind of aggregates– I sort of don’t know how you put together an aggregated view of user behavior, because, you know, if one person’s mouse goes up to the right and the other person goes down the left and, you know, how do ya do that in a graphical– I mean, you turn these into movies, right? So, are the movies are an aggregated view of, you know, hundred-thousand or ten of thousands of visitors? The movies are individual, so you would watch a single person from start to finish where they came from, let’s say, came from Google or whatever and then they went from this page to that page, the other page. I assume you compress them in time, so you can watch them really fast, right? You can skip idle, you can speed it up, you can do all that kind of fancy. Well, what you end up seeing is because we have a feature called be Behavior Tagging where you can segment people by actions that they take on the website and then say I only want to see visitors who hit our landing page, I only want to see visitors who click this particular button or whatever it is, but what’s interesting about the data, you see with big data its get overwhelm it’s so much information, but this is so visual. Imagine just taking somebody out of the hall, it’s called hallway visibility test and you say use this and you sit behind them and you watch them use the website and they’ll do something you never expected. This is the same type of a thing where you’ll see within seconds you will see behaviors that you did not anticipate just by watching a few, a handful of recordings. Yep, that’s happen to me many times. I can’t imagine the millions and millions of dollars lost by businesses. But they didn’t even say anything, they didn’t contact the owner, the owner had no idea. What other tips, you know, just as we’re kind of wrapping up here, what other tips, strategies, tools would you like people to know about? Tools you have– I mean, you do more than heat mapping and the polling, right? Yeah, we do form real time web analytics to telling you exactly who’s on your website right now, where they came from, how they got there, all of that. You even view their screen in real-time, you can chat with them. So, we also offer the ability to reach out and connect with people if they’re frustrated or you see that they’re stuck somewhere and then you co-browse and chat with them. We offer something called Form Analytics where we’ll take statistics of your form and tell you the individual fields on the form where people are getting frustrated, right. We might say this field somebody took sixty seconds on average to fill out, where this field was repeated six times on average and then everything will play nicely together. So, you might see that abandoning rate on Form Analytics you could then watch recording of people abandoning your form and figure out why that’s happening. Yeah, fantastic. Really powerful stuff. Okay, good. So, any other tips in general that you just wanna share with people, maybe it’s something you could help them with or something in general. Yeah, I think that your customers who are already on your website they know why they’re leaving, they know why they’re not purchasing and it’s how do we get that information? You know, from them and I think if you use a bunch of different tools to try to answer that question of why you’re not converting. Some of them they’ll provide to you up front and you’ll get that through chat or polls and they’ll just tell you why and the others you have to gain from watching how they use your website, but it helps to figure out that full picture and so you could go from that 1% to 2% conversion, you know, it’s a small change but its make a very large difference, you don’t have to spend extra money bring more people in. Improve the traffic that’s already on your website cause there’s so much of it. I’ve talked to people and I’ve asked them questions, “Well, how many people come to your website a month.” And I’m shocked at how many small business even middle size business can’t answer that question. They don’t know how are even coming to their site per month, they don’t of those people are really converting and how many of them aren’t converting, right, it’s an enormous percent of people that are on your website that never convert. So, we believe in optimizing that path, that’s the most efficient cost effective way to increase your sales. So, where should people find you, luckyorange.com or want to give out other site. No, luckyorange.com would be the one. We are also in certain directories like Shopify, we’re featured plug-ins there, WordPress, Bigcommerce and we are adding more and more plug-in directories to make the installation process as easy as possible. Good stuff. I think that this is just great tool, I can’t wait to start using it myself, probably should have done it years ago. How long have you guys been around? We’ve been around for about three years now. Good stuff. Brian Gruber thank you so much for joining us. Just had one more thing, we are happy to extend an extended free trial to all of the listeners of this podcast. So, just shoot us an email, tell us where you found us and we will extend your free trial. How long will you do it for? We’ll give you– we’ll double whatever it is. There you go listeners. Alright, check it out luckyorange.com. Brian thanks for joining us. No problem. Thank you, Jason. This show is produce by the Hartman Media company, all right reserved. For publication rights and media interviews, please visit www.hartmanmedia.com or email [email protected] This show is for entertainment purposes only, and should not be considered personal or professional advice. Please consult an appropriate professional, if you require individualized advice. Opinions of guests are their own and the host is acting on behalf of the Hartman Media company company, exclusively.